Antique Russian Faberge gilded-silver 88 cloisonne enamel box by Feodor Ruckert. 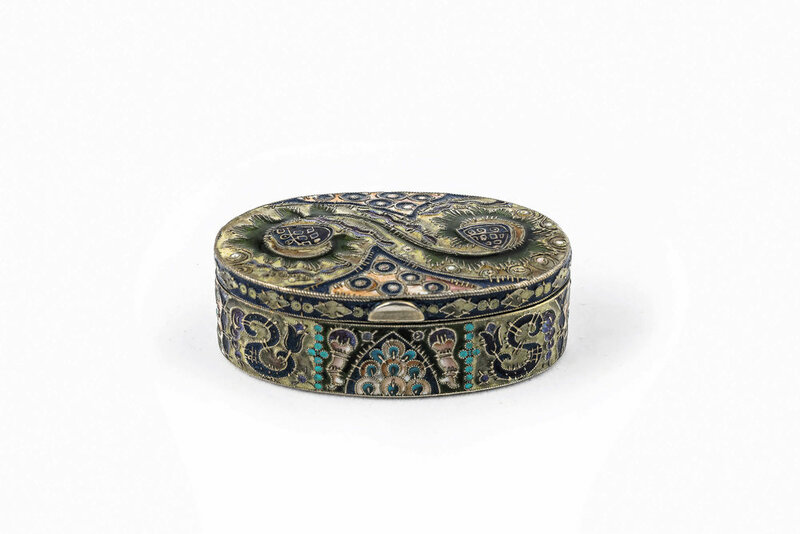 A beautiful antique Russian Faberge gilded silver 88 and cloisonne enamel box from Moscow, circa 1908-1917. 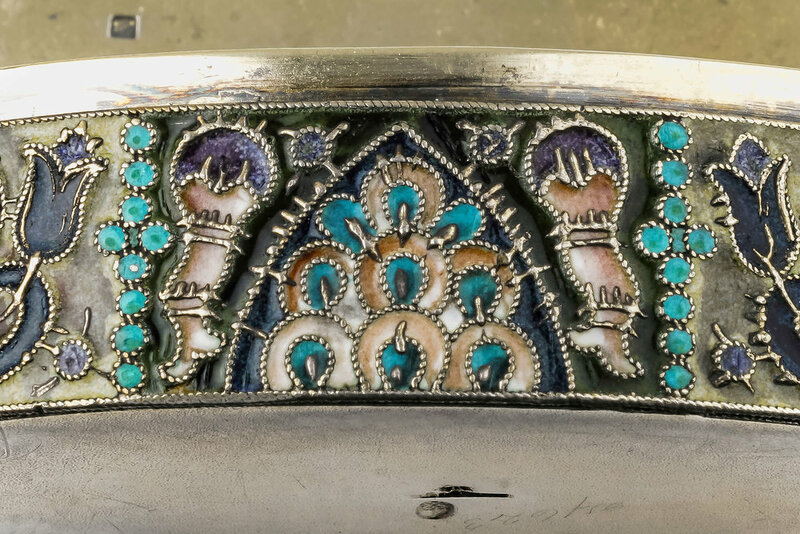 It is oval shaped with hinged lid, enameled with abstract and foliate ornament in olive green, navy blue, turquoise, peach and amethyst, the decoration enhanced with applied silver cloisonne, struck K. Faberge in Cyrillic beneath Imperial Warrant overstriking Cyrillic initials of Feodor Ruckert, 88 standard, and scratched number 27623. 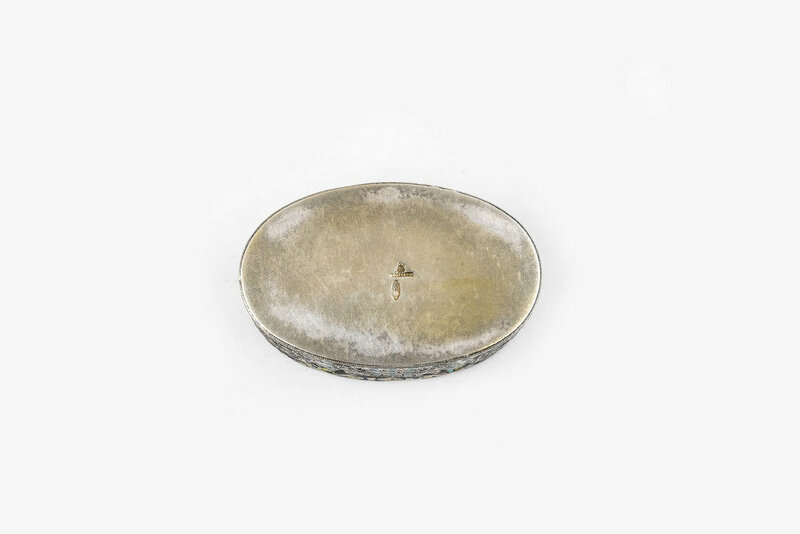 Width is 2 5/16 inches or 5.9cm.